You love Vietnamese food? You wanna learn how to make it? 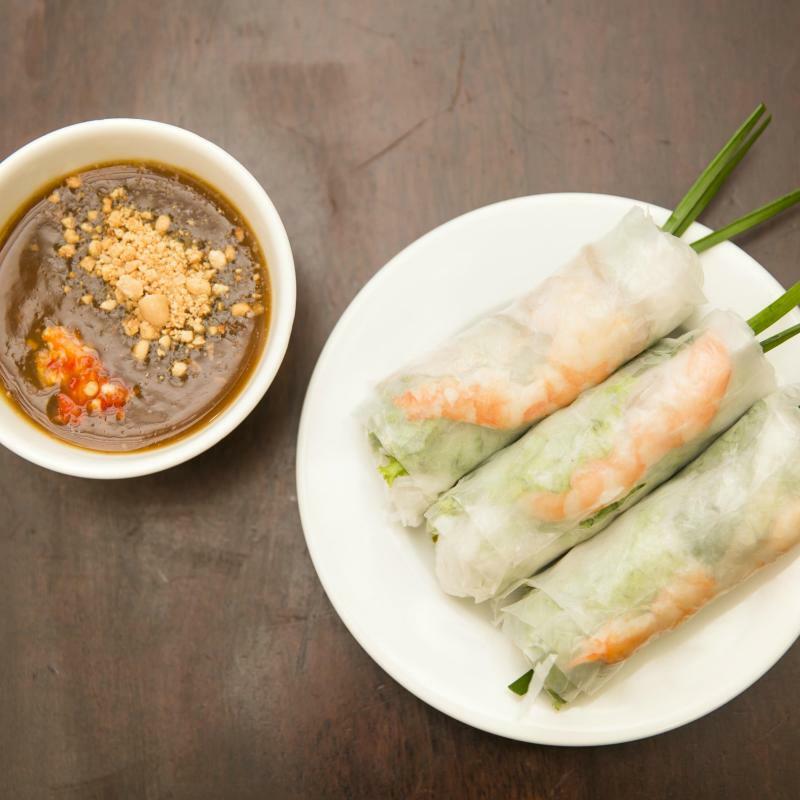 You are confused about where and how to start cooking authentic Vietnamese dishes? 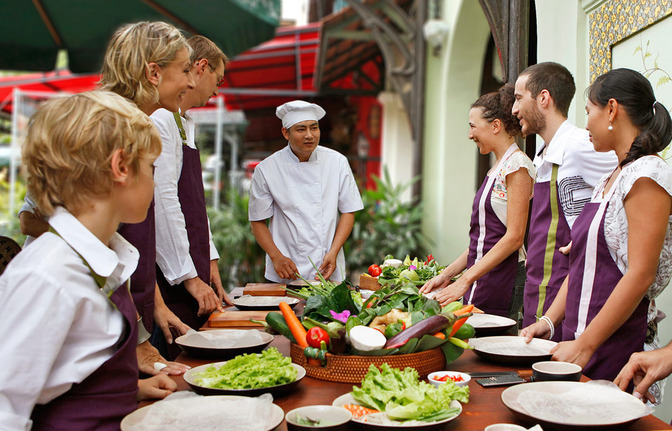 All you need to do is to sign up for a culinary class in Ho Chi Minh City and make it best experience ever. There are a few options to consider learning to make food: at travel agencies, at hotels, at culinary art schools or at a Vietnamese house. Many travel agencies now offer cooking class for foreigners. It is often organized in a half-day tour. Visitors set off early in the morning, meet up with the Chef, look over the list of ingredients, head off for the market. With Chef’s help and explanation, learners select and buy fresh and good enough ingredients to make delicious Vietnamese dishes. Upon arriving at the kitchen, the Chef instructs the learners step by step to make a certain dish. You spend some hours together listening to the Chef, following his instructions and make your dishes on your own. The end of the tour is the time people savor the food they have been putting in lots of efforts and receive comments from the Chef for better taste next time. Suggested travel agency: Buffalo Tours Travel Agency Address: 81 Mac Thi Buoi, District 1 Ho Chi Minh City Tel: +84 8 3 827 9170 2. Some 5-star hotels, such as Caravelle Hotel, offer a cooking class every day at their hotel. Learners with the Chef take a cyclo, a means of transportation which used to be so popular in the past, to a nearby market to select ingredients and prepare for the class. Then, it proceeds pretty much the same as the tour offered by travel agencies. The menu is different day by day. So, if you want to learn many different dishes, just ask for the daily menu in advance. Caravelle Hotel (19 Lam Son Square, District 1) offers a cooking class at $45/person (10% tax and service charge excluded). Class size is from 10-15 people only. Therefore, it is advisable to book in advance to be flexible in managing your schedule. A class at a Culinary Art School is suitable for visitors who travel in smaller groups like 2 or 3 people together which cannot make enough 10 persons or more to have a class at a travel agency or a hotel. The Culinary Art school is flexible in scheduling classes and the menus and recipes as well. Offered by Connection, preparing and cooking food at a Vietnamese home may bring visitors new taste for their cooking class experience. Learners are picked up at a certain venue. Then, they all proceed to the Chef’s house. They go to a local market, choose ingredients and make the food in the kitchen of the Chef’s house. This chance brings visitors some insights about Vietnamese homes and kitchens beside culinary art.